MUMBAI: Having carried the burden of expectations of a billion people, skipper Mahendra Singh Dhoni lightened his burden by shaving off his head soon after vanquishing Sri Lanka in the World Cup final, to fulfil a pledge to the gods. Dhoni surprised the world with his tonsured head this morning, having shaved off the hair in the middle of the night in his hotel room. Dhoni is believed to have made a commitment to do so before a deity close to his hometown in Ranchi before the World Cup began. The priest had advised him to shave off the head between 2.45 am and 3 am which is what he did. The hair will now be offered at the Balaji temple in Tirupati. 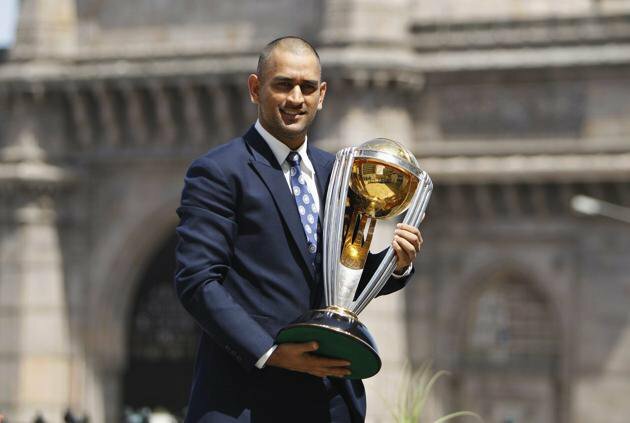 Dhoni's new look was first seen during an official photo-op session in front of the iconic Gateway of India, where some members of the Indian cricket team posed for shutterbugs with World Cup trophy. Incidentally, Dhoni had cut his long locks after India won the Twenty20 World Cup in South Africa in 2007.